Ok, so I cheated getting six engines done. I did not completely disassemble and clean any of them. I picked six of the best, either new or engines that I had ran and cleaned before. 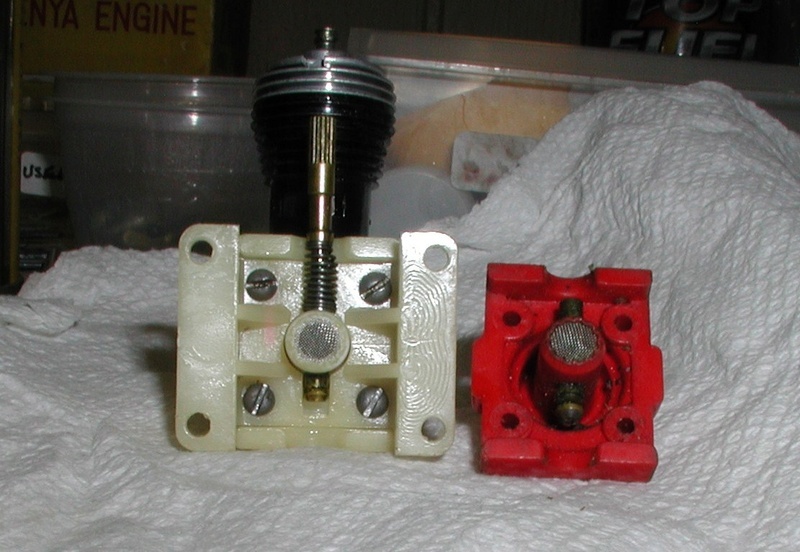 The Dragon Fly and post Santa Anna slit cylinder are new, the red postage stamp helicopter engine was cleaned before, the others ran and previously cleaned. I just wanted to put a dent in the pile. No Franken engines included. Those again later. 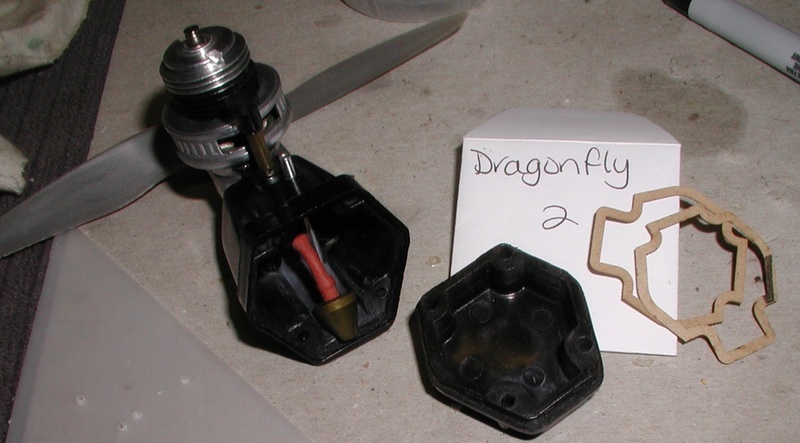 I find the Dragon Flys with the clunk tanks interesting. I have another NIB. The white postage stamp is curious. All along I thought it was a one piece of plastic, turns out it's a common postage stamp with an attached mount. 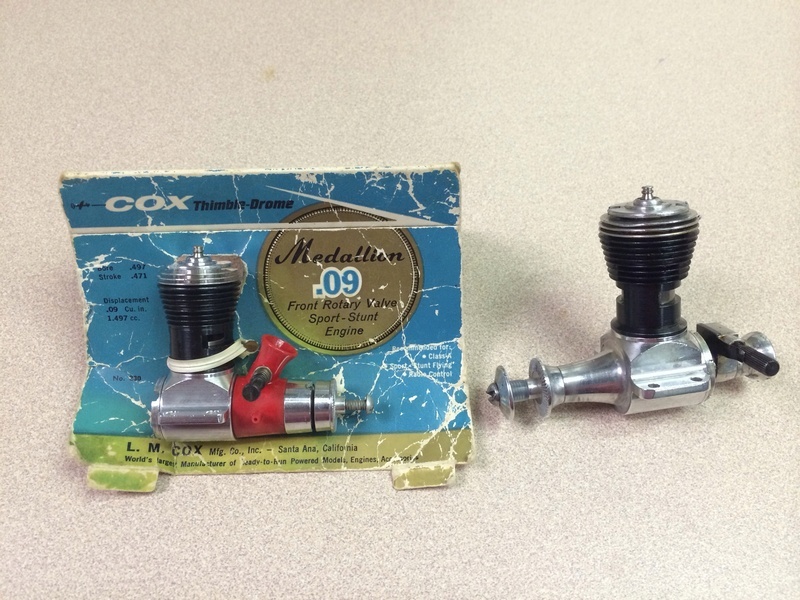 Anyone know which Cox model it came out of? 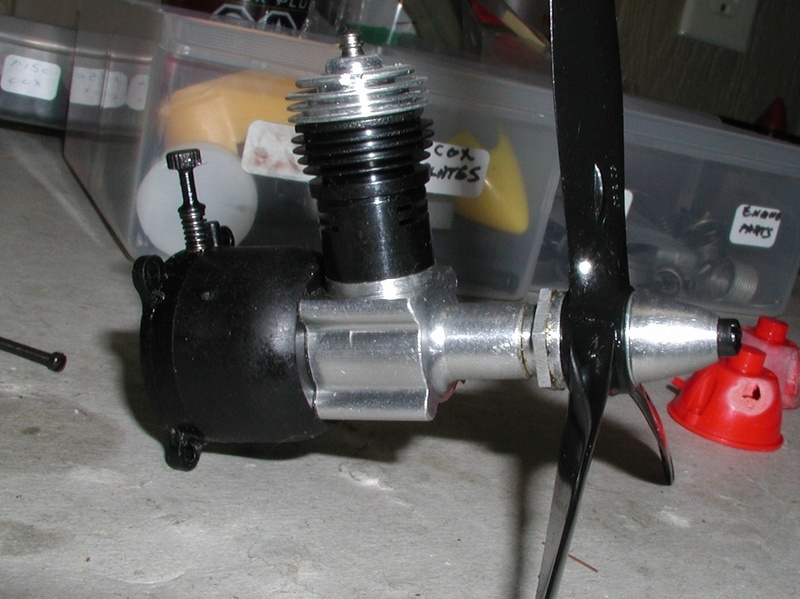 That mount is an aftermarket mount to use the postage stamp out of a crashed Cox plane in a built up balsa plane. I have four or five of them. I'm pretty sure it's a Goldberg unit. 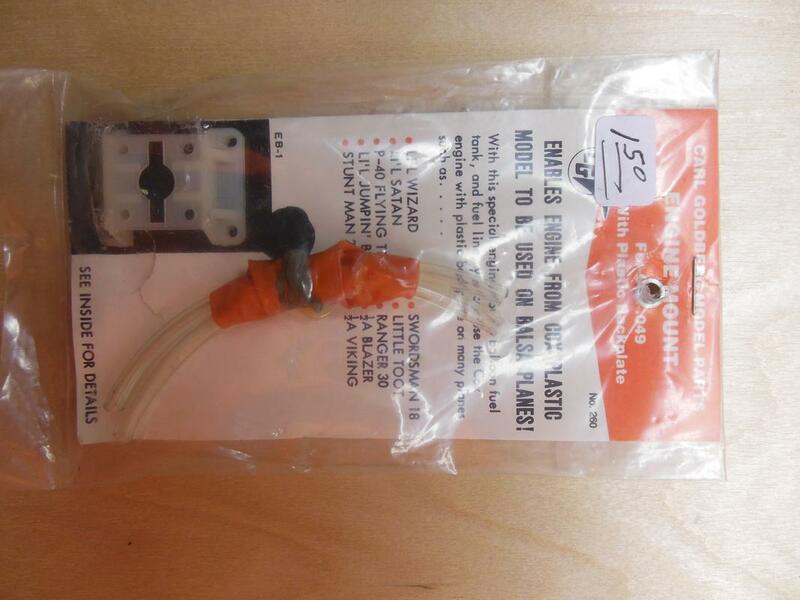 The package included the mount for the postage stamp backplate engine, a balloon, fuel tubing, and rubber bands so you could use the mount with a balloon tank. 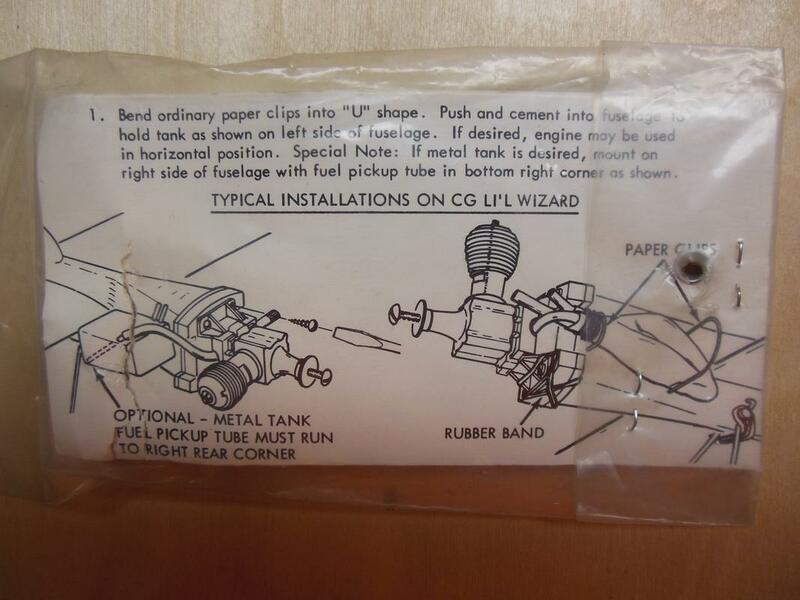 The instructions on the back of the package show how to use paper clips to mount the balloon tank. I have one sitting on the table at home (I'm at work). If no one else posts a picture before I get home, I'll take a picture of the mount/balloon/etc. and the instructions on the back of the card and post it here tonight. Tells you something that a major manufacturer would design and build a special mount so you could take your crashed Cox plane's engine and re-use it. Think of all the engines left over after the infamous "take off into a wing-over and crash" on Christmas afternoon. 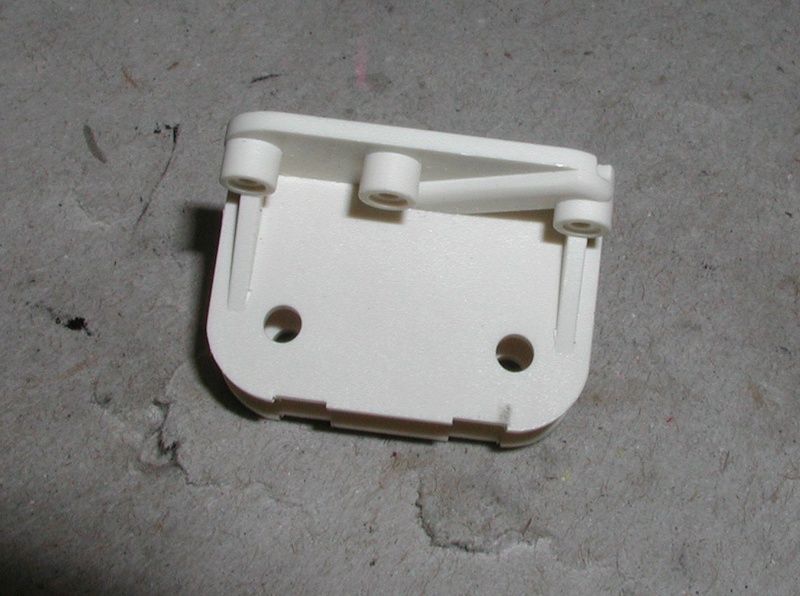 Goldberg must have sold a ton of 1/2A control line kits by creating this plastic mount. That is, until Cox just started using the horseshoe production backplate. BTW, that is a clean combo you've got there. All my white postage stamp backplates are irreversibly stained black. That's great Mark. I wonder if they are still available. Probably not. 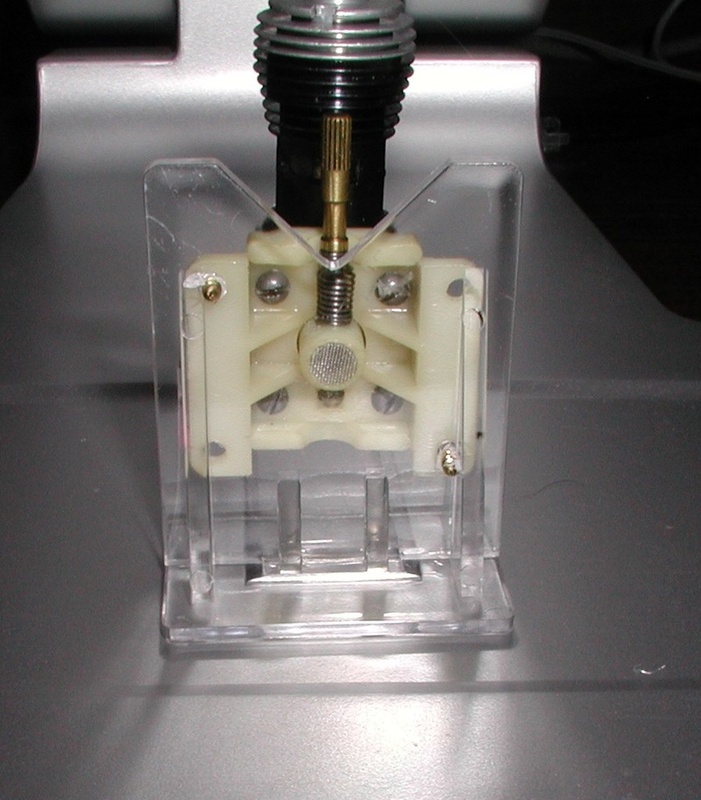 If anyone is interested in those clear plastic mineral mounts that I have been using, here is a link. I just ordered 25 more. I have been using them for years. Very nice work Bob. I wish I had your patience to clean up an engine as you do. Thanks for sharing. Here's a link to one currently on ebay. I still can't post pictures here. 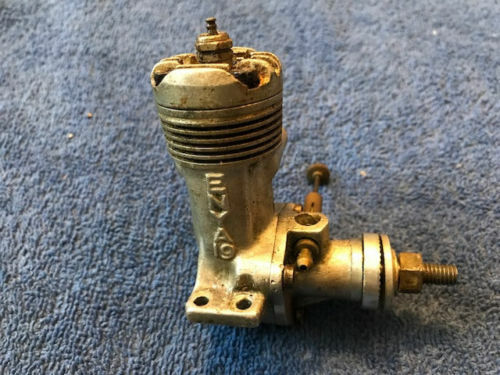 Oldenginerod wrote: Here's a link to one currently on ebay. I still can't post pictures here. Thanks for the link to the stands. I just ordered a set. Although a few of my idle engines sit on a display shelf, the vast majority are in wooden chests out of sight. With these stands and some room made on some shelves, I'll be able to enjoy keeping more of them on display. More rehab effort. This never-mounted .09 and used Sportsman .15 are new to my collection, part of a nice lot I aquired from a local old-timer. Worked on both of them tonight. The .15 has some wear and tear from a bit of use many years ago but is all there and has nice compression, smooth operation, and a good reed valve seal. I disassembled it for inspection and gave everything a bit of polishing to bring back some factory shine but not a mirror show finish. I left some scratches and a few small baked castor spots for street cred. She will fit right in next to my other .15s. The Medallion, still on the tattered card since new, was in great mechanical shape but showed a dull finish with light corrosion everywhere. Luckily, the previous owner had thought to oil the innerds for preservation. I disassembled it and polished everything back to a factory level of finish. Oiled everything with a coat of Rislone and put it back together. I'm a real fan of Med .09s and own a handful of them. Great reliable sport flying engines and I love the raspy sound they make in the air! Nice job TB, I have that polish on my list. I can't get that level with what I'm using now. Maybe I could send you a couple of dozen of mine to "touch up." 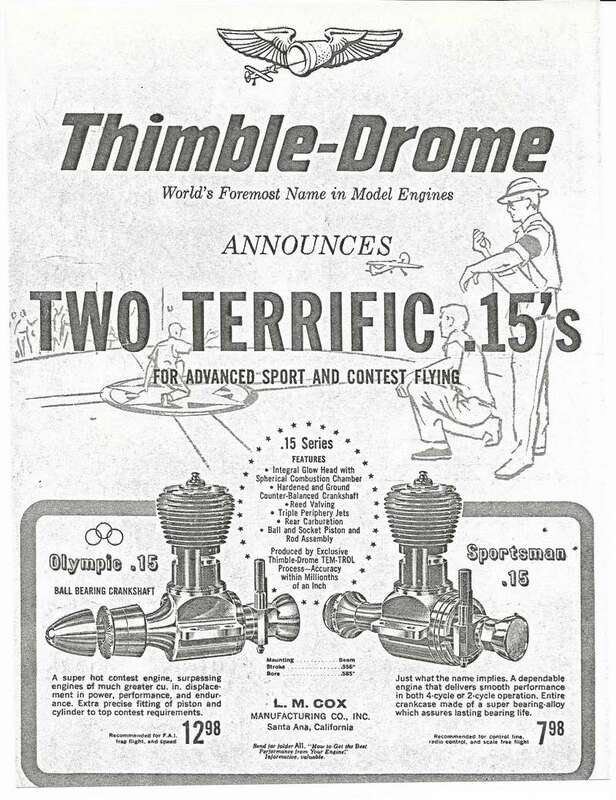 I have only owned one Sportsman .15, an engine that a snail mail friend of mine put together. An importer, I bought several Russian engines from him back when they were considered unique. His name is William "Bill" Dahlgren. See attached. 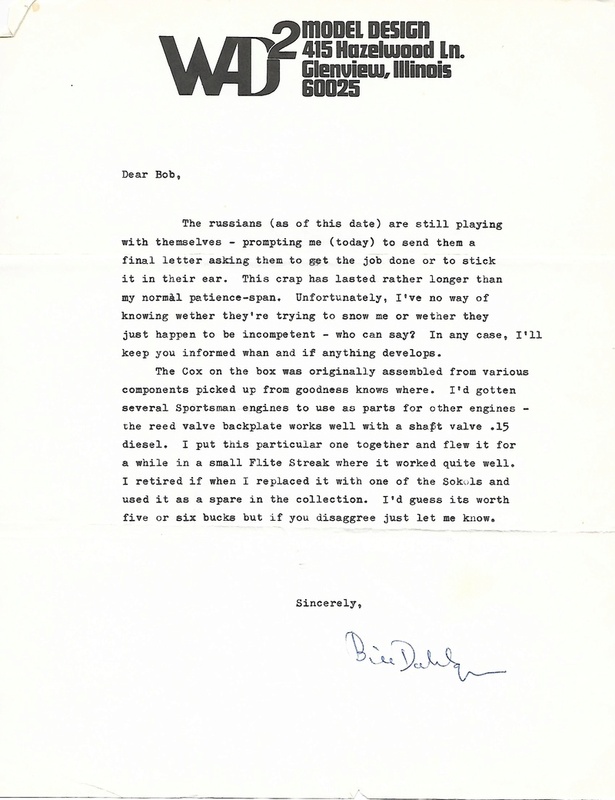 I included one of his letters in the hopes that someone else here might have done business with him. Also, I won this very rare first gen 3 case bolt Enya on ebay last night. Started at $12.95 it ended up a bit more than that. Sniper at the last second did not prevail. It's red headed brother and the later four case bolt. Congrats on the Enya and very interesting story. Thanks for sharing the .15 add. Hoping to get some more work done tonight.
" 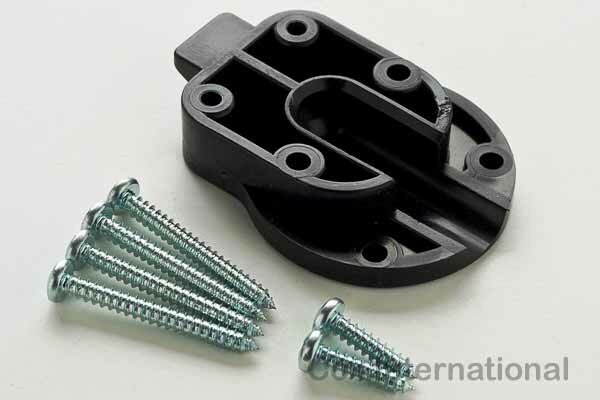 Goldberg must have sold a ton of 1/2A control line kits by creating this plastic mount. " They did indeed. Only problem was they probably sold more Scientific hollow log kits than their own 1/2A profile kits. I ran a hobby shop in early 1970s and all CG 1/2A c/l kits at time were designed (per explicit box art and plans) for either Baby Bees or Golden Bees with very little "how to" provisions in kit parts or plans on separate tank set ups. ticomareado wrote: They did indeed. Only problem was they probably sold more Scientific hollow log kits than their own 1/2A profile kits. I ran a hobby shop in early 1970s and all CG 1/2A c/l kits at time were designed (per explicit box art and plans) for either Baby Bees or Golden Bees with very little "how to" provisions in kit parts or plans on separate tank set ups. Brodak got into the act too by offering this profile adapter for the .049. I think they were included in their kits and may have sold them stand alone? 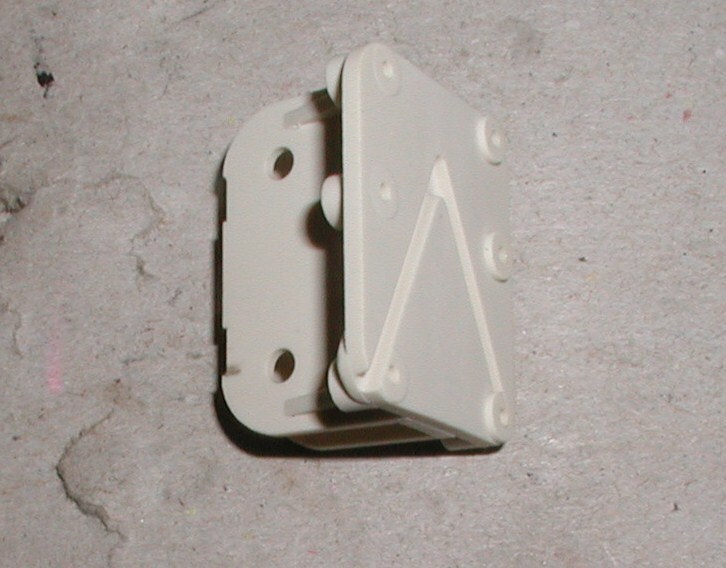 Brodak is not the first with the adapter (only first in that it is configured for both Cox horseshoe and Bee tankers). Sterling and then Midwest did prior iterations of concept. 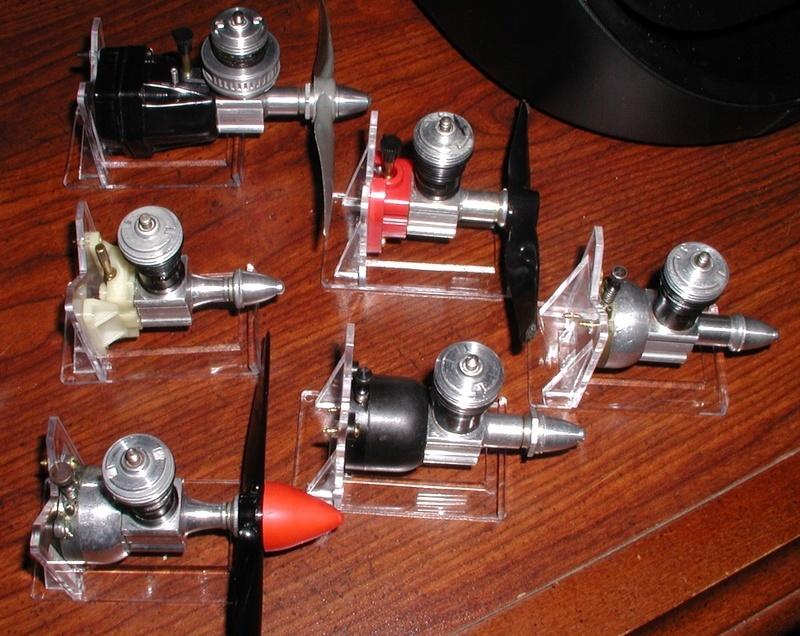 The problem was that CG, Top Flite and Sterling simply went gung ho Baby Bee/Golden Bee by mid sixties with their kits-- leaving the separate tank (Wen-Mac/vintage/beam mount/290 with CG adapters) users stuck with some extra expense and aggravation to make a balanced model with a decent looking front end. In any case, I built a few hot CG Blazer free flights using CG back plate adapters on 240s off Christmas morning Stuka maiden crashes that kids gave me. ticomareado wrote: Brodak is not the first with the adapter (only first in that it is configured for both Cox horseshoe and Bee tankers). Sterling and then Midwest did prior iterations of concept. 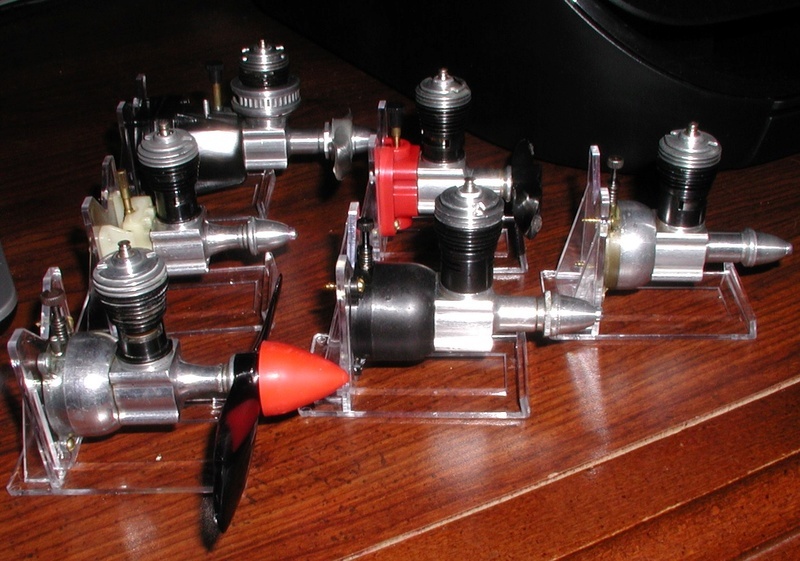 The problem was that CG, Top Flite and Sterling simply went gung ho Baby Bee/Golden Bee by mid sixties with their kits-- leaving the separate tank (Wen-Mac/vintage/beam mount/290 with CG adapters) users stuck with some extra expense and aggravation to make a balanced model with a decent looking front end. Thanks Victor for the back story. ticomareado wrote: Brodak is not the first with the adapter (only first in that it is configured for both Cox horseshoe and Bee tankers). If I remember correctly, Larry Renger designed that backplate for Brodak. So, does the horseshoe backplate mount work just as well as the Goldberg mount? 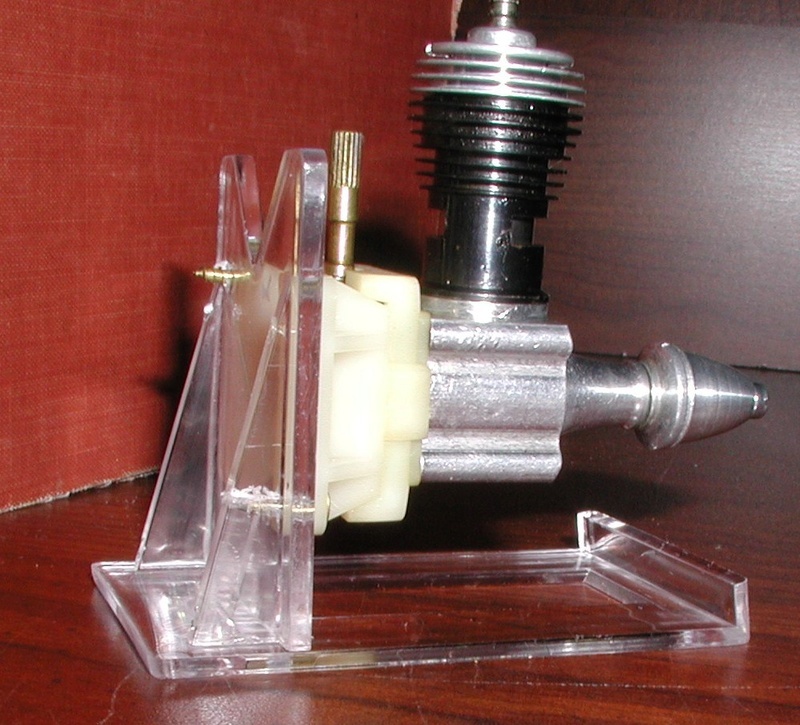 The Goldberg mount that Mark pictures is only designed for the "Postage stamp" backplates on engines from broken RTF planes and must mount on a flat ply firewall. The Surestart mount that you have pictured from Cox Intl. 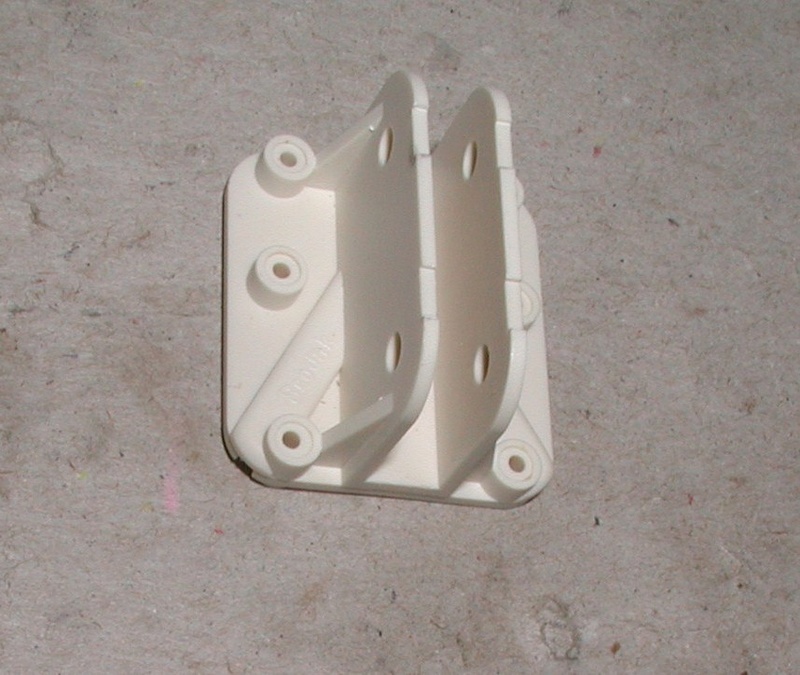 also needs to mount onto a firewall and is designed to enable you to retain the choke tube. Otherwise, the choke tube needs to be removed. 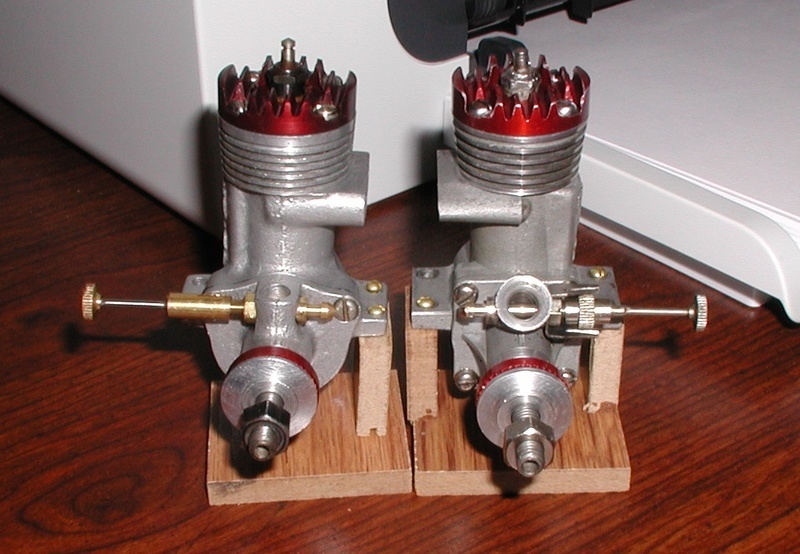 The Brodak mount can attach either a Bee engine or a Horseshoe packplate engine directly to a profile fuselage without needing a wooden firewall like the other two mounts.